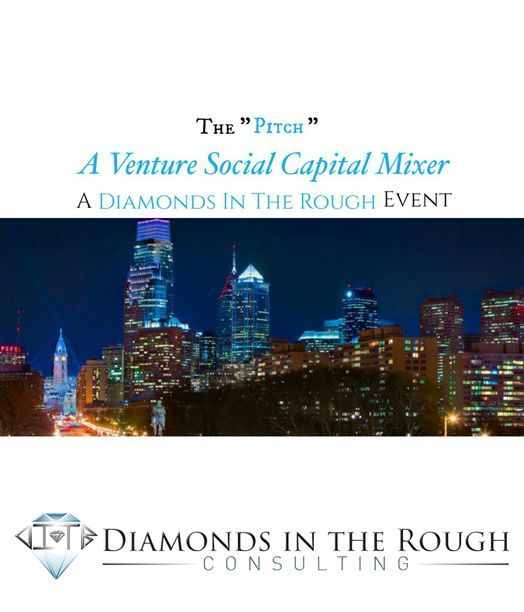 Diamonds In The Rough produces events that create an environment that would give you an opportunity to socialize, meet with other Diamonds In The Rough, and market yourself/network professionally all while letting loose and having fun. Diamonds In The Rough is looking for Entrepreneurs, Companies and Brands who are interested in pitching their ideas in order to receive support in marketing, mentoring and social/financial capital for their business or event concepts. Join us for cocktails, conversation and top of the line networking. You won’t want to miss this!